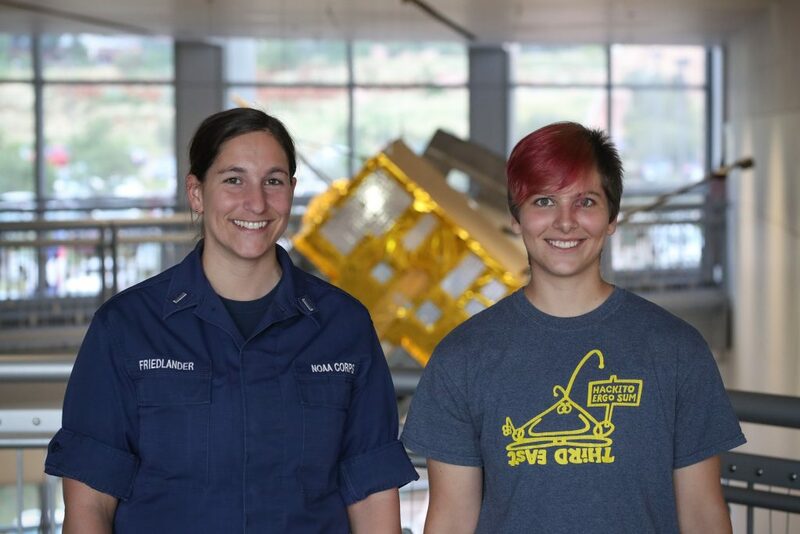 LT Cherisa Friedlander and Sabrina Shemet – NOAA’s 2018 South Pole Station Crew. 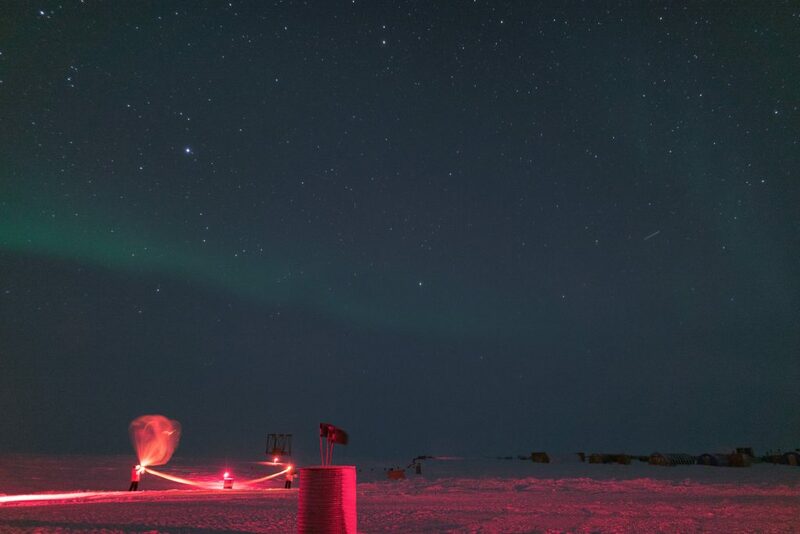 I just returned from a year of supporting NOAA’s research at the South Pole, and what an adventure it was! 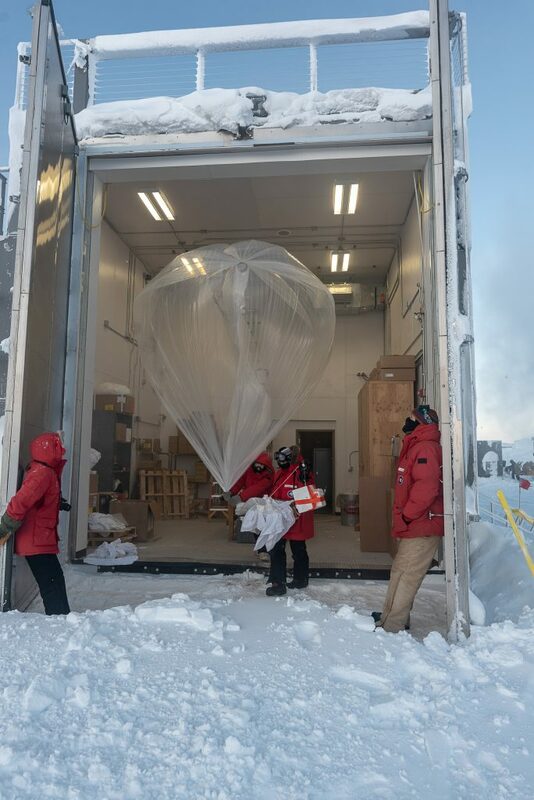 A big part of our job as the two woman team maintaining the Atmospheric Research Observatory at Pole was frequent balloon launches. Each launch provided us with data that could be used to construct a vertical profile of ozone in the atmosphere. This is important, since the ozone hole develops directly over Antarctica each year and has critical impacts to UV exposure levels around the world. 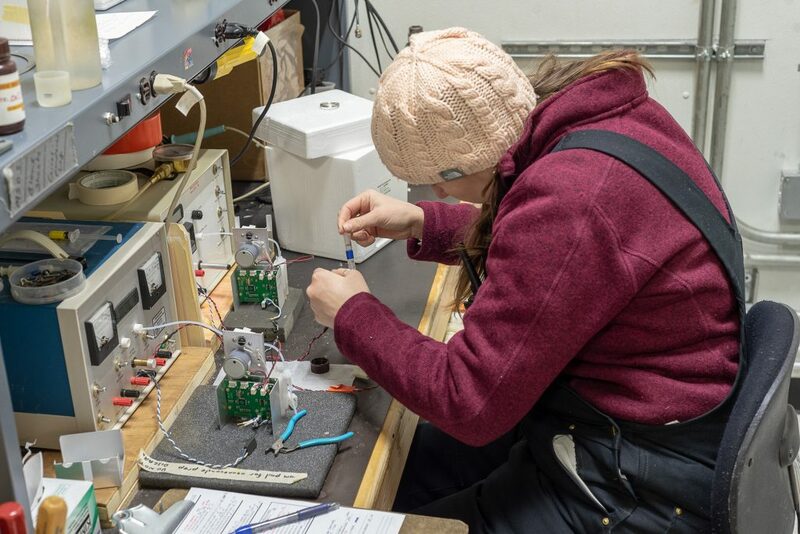 When we first arrived in November 2017, we quickly applied the training we had done in Boulder to our launches at Pole, but it was much chillier! The next month, in December, we were lucky to be able to retrieve a sonde package from a launch that landed close to station, which provided an unexpected adventure. As the season went on, Sabrina and I settled into a routine, eventually splitting balloon responsibilities where she prepared the balloon and I prepared the sonde each time we launched. It allowed for us to become more efficient with our individual tasks and to ensure quality preparation each time. During winter, when we launched plastic balloons, I would hold the balloon and Sabrina would help walk out the long tail of the balloon before releasing the sonde into the air. There were definitely some days where one of us would stumble upon an unforeseen snow pile in the dark ( it is dark at Pole for 6 months from March-Sept! ), or a fellow observer would hold onto my jacket while strong winds tried to take me away with the balloon, but we had a successful season of launches. I think careful and methodical preparation, teamwork, and our training back in Boulder helped a lot with that. During ozone hole season in September and October 2018, we had a class of 8th graders in LaFayette, NY who were eagerly following along on GMD’s website for each profile that was posted. One day, they were even refreshing the page in class and were thrilled to see the newest profile had been posted. They, like the team back in Boulder, had made hypotheses as to when and how low the ozone hole would be, and had many discussions in class related to the launches and Antarctica. It was a great way to share the work GMD’s Ozone group was doing and kept us excited for the results as well. Overall, I had an amazing experience and would definitely return to Antarctica in the future if the opportunity presented itself. It is a unique place, still in many ways undisturbed from its natural state, and allows for some of the most important research in the world to be conducted.